At Bralco Metals (Australia), we support university motorsport teams. In one of our recent blogs, we discussed the use of our 4130 Chrome Moly tube in the construction of wishbones for the Monash Motorsport team, who have won nine out of their last ten Australian competitions. To continue our history of backing winners, we also supply metals to the MUR team. A race car is a finely-tuned vehicle, and all components of the machine should be of the utmost quality to ensure performance. 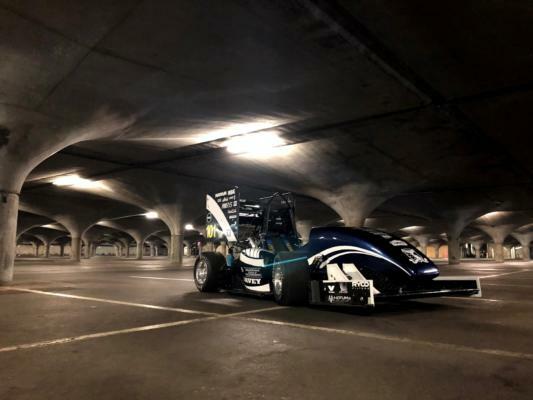 Where most vehicles have wheels under the body, MUR have trialled an open-wheeled style car for the Formula SAE, a race car design competition. The Formula SAE is run by SAE International, or the Society of Automotive Engineers International. The competition was started in 1980 by students from Texas University. The competition centres around the premise that a fictional race car manufacturing company has commissioned the university team to design a prototype for an open-wheeled formula car, which is then assessed for its potential as a production item. The prototype is judged on a range of criteria, such as innovation, safety, clever problem solving by the student team, and more. The performance of the car is then evaluated in situ in a series of events. The University of Melbourne’s Formula SAE team, MUR has competed in the Australasian regional competition since its inception in 2000. Open-wheeled styled formula cars and have the wheels outside the main body of the car and in most cases, only one seat. With Bralco Metal’s support, the MUR team has been able to manufacture a number of critical components using chrome moly tubing, including the roll-hoop structure, the steering mount structure and suspension a-arms. Bralco Metal (Australia) would like to congratulate the MUR team on their innovation in their design, and wish them ongoing success in their future races. You might not be building an award and race-winning open-wheeled formula race car, but if you have a project that requires only the highest quality steel parts, there’s only one place to get them. Get in touch with the team at Bralco Metals (Australia) and get your superior aluminium, carbon steel CDS, chrome moly, miscellaneous sheet, stainless steel, streamline tube, titanium and welding rod for your engineering needs today.